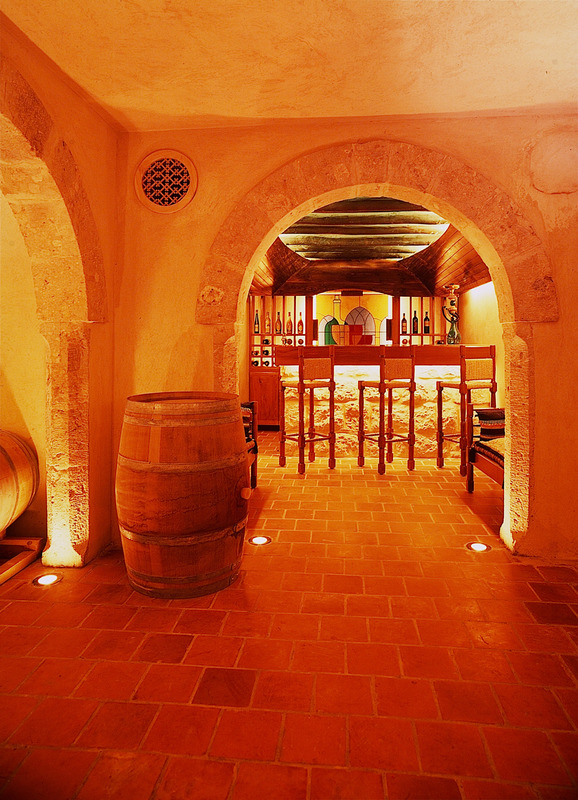 Wine production is part of Lebanese heritage, since it dates back to the Phoenician era. Benefiting from a favorable climate and soil, the Lebanese plant some classic noble grapes, besides the local grapes offering the world variety of blends that cater to all tastes. Nowadays Lebanese wines compete with the most prestigious brands abroad and are serious competitors, since they offer the quality and richness of flavors. On the occasion of the wine festival Vinifest, Prestige introduces you to some famous Lebanese wines. What are the characteristics that make Lebanese wine specific? Lebanon has one of the oldest wine cultures in the world, dating back 5,000 years when the Phoenicians first began tending vineyards. They exported their wine to ancient Egypt, Rome, Greece and Carthage; introducing the world to viticulture and enology. 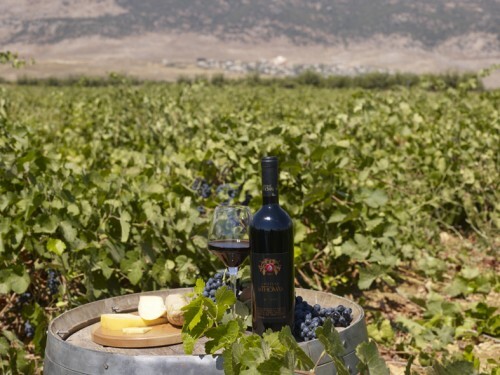 In the last few decades, though, Lebanese wine has reemerged in earnest, and while you can still find traditional sweet monastic wines, most wineries today are planting classic noble grapes and giving local twists to international styles. Unique Characteristics: While calcareous soil represents only 5% of the soil of the planet, Lebanon is made up of 80% of such favorable soil, with high concentrations of lime and clay, and often with gravely mixes in the terraced vineyards of the mountains. Lebanon also enjoys a majority of sunny days across the seasons, and Mount Lebanon in particular has warm days and cool nights. It is this special and original Terroir, benefiting from a unique microclimate where warm summers follow mild winters, which creates the appropriate conditions for the birth of a great wine. How would you describe your wine? 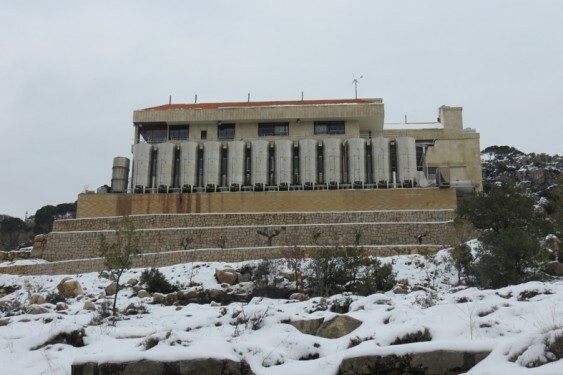 Château Florentine is a state-of-the-art winery in the Chouf area of Mount Lebanon, nestled on the Rouss Hill, overlooking the historical village of Majdel Meouche at an altitude of one thousand meters, seeded equidistantly from Palace of Beiteddine to the Cedar Natural Reserve of Barouk. Our terraced vineyards are located on sunny hills and have west and southwest exposure towards the Mediterranean with a rich variety of soils that indulge several selections of noble grapes. Having the perfect location of our terroir along with the best climate, we value it with modern premises and high-tech equipment, while international know-how joins traditional winemaking processes to create outstanding wines. Since the first vintage in 2010, the brand has become synonymous with superior flavors and an exquisite bouquet. Each wine is a tribute to the unique characteristics of the region, noble grape varieties and meticulous winemaking process. What are the characteristics that make Lebanese wine specific? Lebanon, with its four seasons provide an ideal climate for grape growing, a Mediterranean and a semi-continental climate characterized by cold and rainy winters and hot and dry summers. The soil is superficial, well-drained and is constituted of a mixture of limestone and pebbly clay. The abundant natural terroir, the ancestral know-how of the Lebanese grape growers and the passion of a winemaker all combined harmoniously to produce exceptional Lebanese wines. How would you describe your wine? Since Château St. Thomas is a family winery, our wines are the reflection of family passion from grape growing to wine making. Château St. Thomas wines possess innate personality because they express the character of the people behind them. What are the characteristics that make Lebanese wine specific? Lebanon has built on its long history of wine-making and It is worth remembering however that Lebanon’s wine production is merely a 5,000-year-old trading tradition. Lebanon sits on the site of ancient Phoenicia, one of the world’s oldest merchant civilizations and one of the first to sell its wines to other nations. 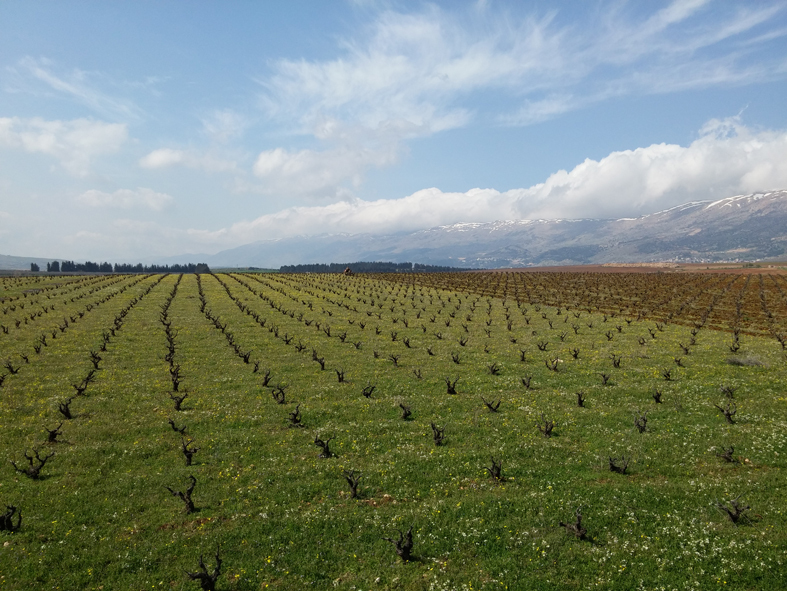 Lebanon’s primary advantage is its exceptional terroir (quality of soil), characterized by high temperatures and close to 300 days of sun a year. This type of climate allows the grapes to mature and the flavors to concentrate and gives wines a rare strength. 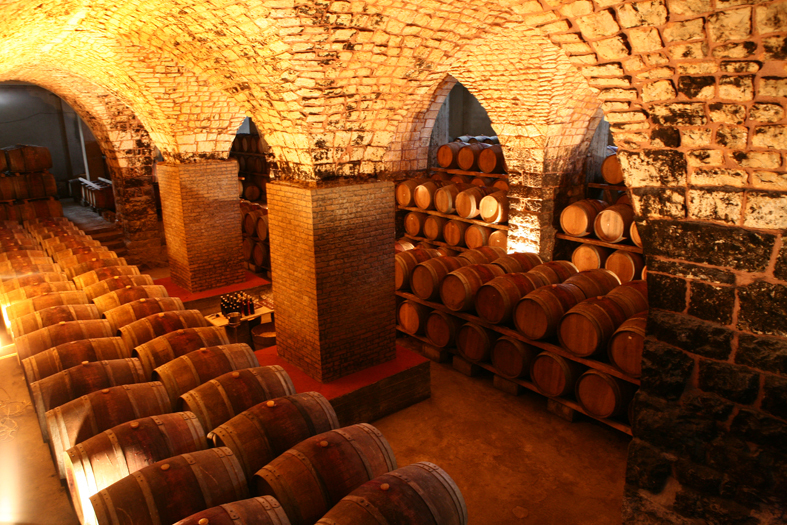 The quality of Lebanese wines is also the consequence of marked improvements in the production and wine making techniques. Today, Wine producers reached an outstanding and high quality wines that reflect Lebanon’s unique character. This quality can easily rival the best production in the world. Overall, the quality of Lebanese wines is well quoted according to international standard. How would you describe your wine? Chateau Ksara has been able during the last two decades to reinforce its corporate philosophy and build on a historic tradition. This has bolstered brand equity and market positioning. Chateau Ksara played on its history and exploited its assets; it has stressed its tradition through the Ksara name and lineage and its nobility through its quality. It has emphasized its modernity by investing in state-of-the-art equipment, hiring the best staff and embarking upon innovative and aggressive local and international marketing campaigns. 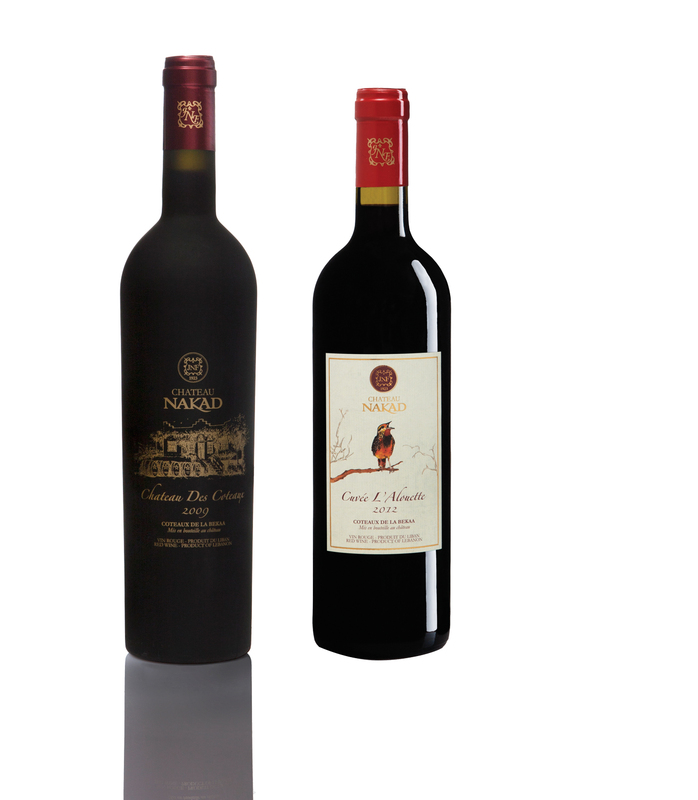 Also, chateau Ksara introduced new exciting varietals, pioneered vines on wire, launched the single varietal of grape wines, niche wines and restructured the whole philosophy of wine making in Lebanon by blending all those new varietals together. This gave to Ksara wines their typicity and specificity. Chateau Ksara produced «Le Souverain» in 2007, on the occasion of its 150th anniversary, it consists of a limited edition blend of Cabernet Sauvignon and Arinarnoa aged in oak for two years. Our chateaux are made from Cabernet Sauvignon, Merlot and Petit Verdot and the Réserve du Couvent, a medium to full-bodied wine made from Cabernet Sauvignon, Syrah and Cabernet Franc and aged in oak for six months. We also produce the Cuvée de Troisième Millénaire, Petit Verdot, Syrah and Cabernet Franc. The whites include L’Observatoire de Ksara, a light and fruity wine made from Sauvignon Blanc, Muscat and Clairette; Blanc de Blancs made from Sauvignon Blanc, Sémillon and Chardonnay and finally Lebanon’s first single varietal Chardonnay Cuvée du Pape, made with grapes grown at Ksara’s highest vineyard and harvested at a low (6 tons per hectare) yield. To this, we should add our Roses, our sweet wine and our Arack. What are the characteristics that make Lebanese wine specific? Climate and Terroirs are two major assets for Lebanese viticulture. Despite the size of our country, we can offer different styles of wines from the flowery to the fruity white wine, from the easy drink and light red to the powerful and well structured. How would you describe your wine? Domaine Wardy is renowned for high-quality wine including aromatic whites and strong bodied reds. With 13 blended and unblended wines to choose from, we bring cheer to different tastes and budgets. Being the first winery to refine a white wine issued of the emblematic indigenous Lebanese grape Obeideh, we aim to reflect the Bekaa terroir and history one of the oldest winemaking regions in the world. What are the characteristics that make Lebanese wine specific? climate, terroir. How would you describe your wine? In producing our wine we work meticulously to select the finest grapes and the varietals (cépage). Quality is always our chief consideration. «Coteaux de la Bekaa» written on our label, and meaning vineyards grown on the slopes of the Bekaa, highlights the uniqueness of our chosen terroir. 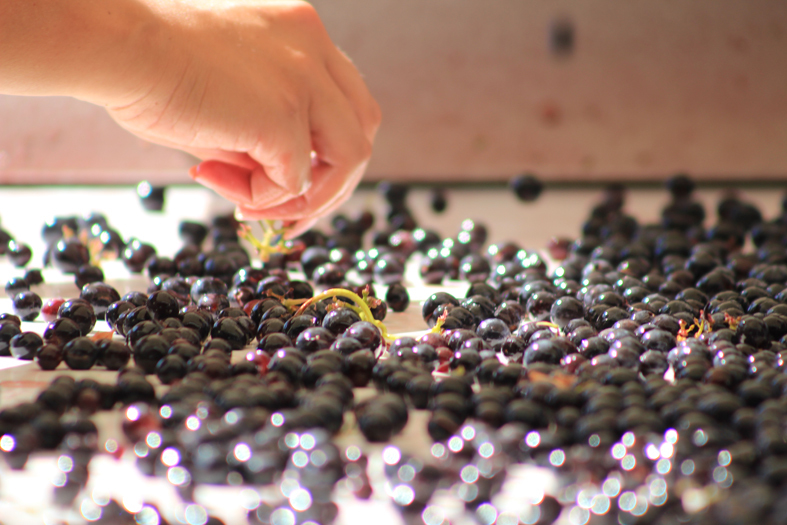 Our hill-grown grapes produce wines with distinct aromas and flavors. Unlike vines grown on the Bekaa’s plains, the drainage of the hills limits the dilution of our grapes’ flavor. This rare grape selection helps enable us to produce extraordinary wines that add real diversity to a fast-growing wine industry in Lebanon. Marketing and international sales manager. What are the characteristics that make Lebanese wine specific? Lebanese wine has been in existence since the times of the Phoenicians, this gave the region and its occupants an intimate knowledge of the grape vines and how best to grow it in the climate that is specific to Lebanon in the Middle East region. In addition to the influence of the French since the occupation, the Lebanese have gained further knowledge of the wine making process. These factors in combination with the climate Lebanon enjoys favour the growth of the grape vines in Lebanon that produces excellent quality grapes which is the base for any good wine. How would you describe your wine? Cave Kouroum wines are characterized by a fruity complex taste, the terroir where our vineyards are grown offer a wealth of aromas and tastes to the wines, coupled with the relatively low level of rainfall and lack of it from mid spring, the tastes are more concentrated in the grapes. This in addition to employing the best wine making techniques which reply both on the new technologies as well as the traditional methods, all combine to offer a variety of wines that cater to the varied tastes of wine lovers. What are the characteristics that make Lebanese wine specific? The Lebanese climate and terroir are exceptional as Lebanon, with its position in the Mediterranean area and its geography, has ideal conditions to grow grapes. It is not an accident if the romans built in Baalbeck in the Bekaa valley the biggest temple to Bacchus, the god of wine. The Bekaa is an area protected from the humidity of the sea and from the heat of the desert with the two Lebanese mountain ranges on both sides. The climate is also perfect with plenty of sunshine with an average of 300 days per year, and rainfall happening during the correct periods from october to april. We also have exceptional and dynamic soils. This produces very good quality grapes, which in turn allows us to produce very good wines. How would you describe your wine? Our wines are produced from certified organic vineyards. 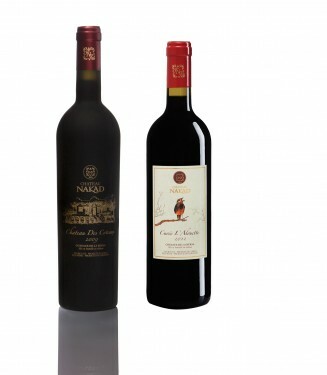 The Chateau Musar wines, red and white, are rich, complex, with special organoleptic characteristics that makes them unique. This is the result of the know-how of natural wine-making developed during the last 85 years at Chateau Musar. The Chateau Musar red is a blend of Cinsault, Carignan and Cabernet-Sauvignon varieties, while the Chateau Musar white is a blend of 2 local grapes, obaideh and merwah, which have exceptional flavours. 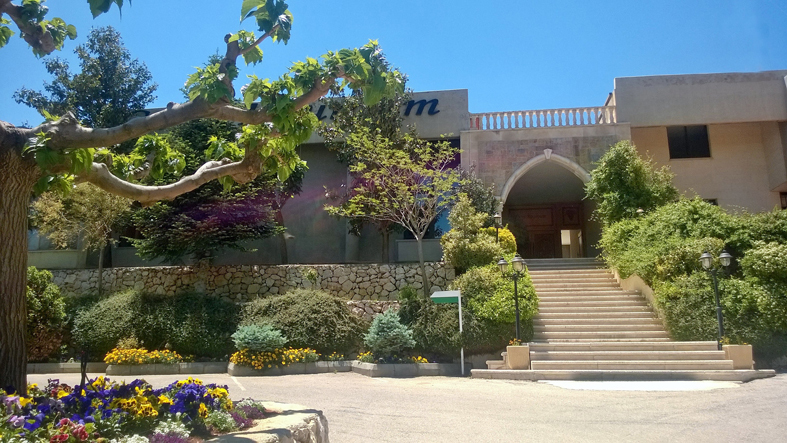 Chateau Musar has been producing wines from these local grape varieties for several decades and has put Lebanon on the world wine map. We have also created two other wines which are the Hochar Pere et Fils and the Musar Jeune ranges to please different style of consumers. What are the characteristics that make Lebanese wine specific? A Perfect microclimate: abundant sunshine with ideal amount of rainfalls creating thus a perfect balance between sugar and acids. In addition, the diversity of the soil and the slopes’ orientation ensure the natural right factors for better ripening’s conditions. The difference in temperature in the Bekaa Valley between day time and night time. This relevant difference is due to the high altitude of the plateau which enhances even more the natural synthesis of the grapes. This reality provides fresh aromas and more structure in the wines. How would you describe your wine? One word says it all: indigenous. Indigenous terroir, indigenous yeast, indigenous winemaker! This formula equals the philosophy of Domaine des Tourelles, an authentic wine expressing high quality in every label and bottle. What are the characteristics that make Lebanese wine specific? Due to Lebanon’s hot climate (300 days of sunshine) and favorable conditions (vines are grown as high as 1800 meters with significant variations in temperatures between day and night ensuring perfect ripening and optimal harvest conditions), Lebanese wines tend to be very intense, packed with fruit, natural tannins and wonderful acidity. Given that we can work with over 30 different varieties, Lebanese wines can be very diverse ranging in style from Bordeaux/Rhone to sunny Mediterranean blends. Lebanon’s makes wonderful easy drinking wines as well as more complex blends made to age and be enjoyed after five years, but which will improve with age for another 20 or more. How would you describe your wine? Château Kefraya is all about our terroir’s grapes and the intensity of the West Bekaa terroir to make balanced wines of distinctive identity. The winery covers an area of over 300 ha – the largest privately owned estate in the country – and within this area lies such a diversity of soil and microclimates which have made us realize what a treasure we have to work with. It goes without saying that we use exclusively our own grapes, which ensures quality control and we don’t irrigate; volume is not our objective. 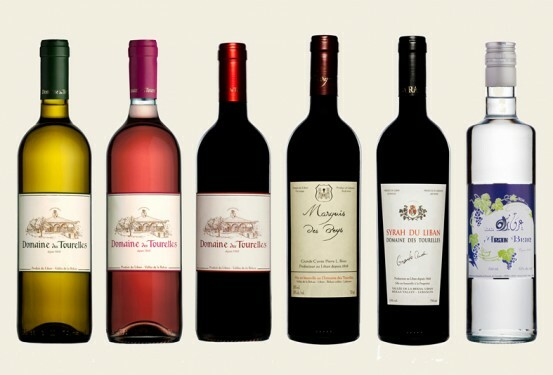 Château Kefraya uses a wide and exciting range of grape varieties in its blends, including Cabernet Sauvignon, Syrah, Cinsault, Carignan Mourvedre Chardonnay and Viognier, as well as more unusual varieties such as Carmenère, Marselan and Muscat à Petits Grains. As for the wines, we have a philosophy of blending because we feel that gives more of a dimension to our wines. Some grapes give structure, others give weight and mouth feel while others give the purity of the fruit, acidity and character. Creating the balance between all three is the secret of a good wine, from easy drinking blends to our premium labels. Our wines are a combination of what nature has given us; nurturing that gift and using the know-how to get the best out of all our varieties in one bottle. What are the characteristics that make Lebanese wine specific? The Vineyards particular location, with thermal amplitudes day/night up to over 20o in summer, favors a slow and gradual maturation of the grapes for the beneficial aromatic complexity and freshness of wines. How would you describe your wine? Bou Sleiman family, very attached to local values perpetuates its expertise and ensures the respect for tradition to the constant qualitative improvement of its wines. Branded with the influence of traditions which is the essential creative base for the bandage and adaptation for the product and its future. Created with care and dedication, this wine represents the fusion of the Old world with the new world style of wines.